Australia Awards alumna, including women leaders and professionals, came together to share their reflection and insight on ‘Women and Sexual Violence in Nepal: Reshaping the Narrative’ on 16 November in Kathmandu. In an Interactive Workshop organised by Australia Awards Women in Leadership Network (WiLN) – Nepal to mark, in advance, the ‘International Day for the Elimination of Violence against Women’ (25 November), the participants engaged in an intensive discussion exploring the causes of sexual violence and harassment against women and girls and shared their ideas on how they could be part of the solution as an agent of change. Dr Tricia Ong and Dr Amina Singh facilitated the workshop. Dr Ong, a visiting scholar from Deakin University, carried out her research in Nepal for her doctoral thesis that focuses on the reproductive health of trafficked women. 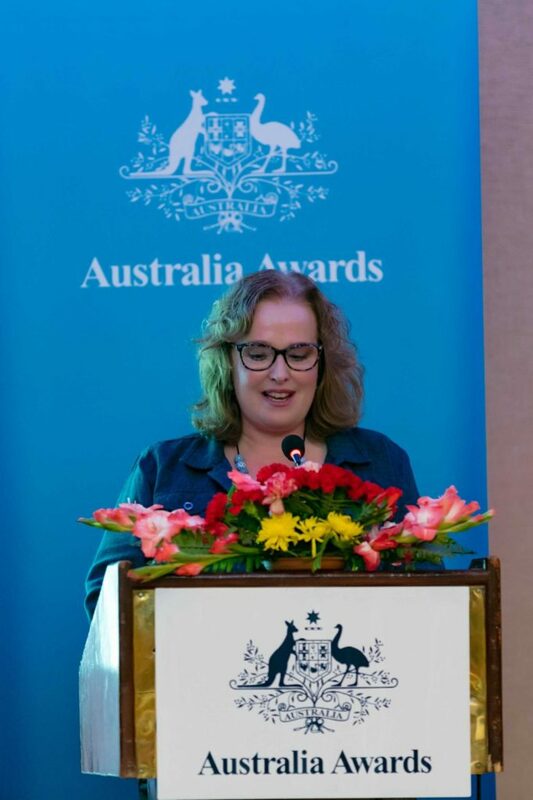 Ainsley Hemming, Head of Development Cooperation at the Australian Embassy in Nepal extended her thanks to the organiser and the participants for organising the workshop on such an alarming issue requiring attention from all walks of lives.